It is expected that the Project Officer will spend approximately 50% independently supporting the PRISMA project, and 50% in close team collaboration on social innovation and social entrepreneurship topics, specifically monitoring the IDEA JAM project. For management of the PRISMA project, the Project Support Officer is expected to work closely with the field-based PRISMA Project Manager. S/he will support the programmatic and administrative needs of the project through coordination with PRISMA field team, the Hub SEA Financial Controller, the relevant Finance Officer, and Operations Manager. S/he will keep C/PDM informed about the project’s progress, budget execution, and any foreseen challenges. On social innovation and social entrepreneurship, the Project Support Officer will work most closely with the C/PDM and Social Entrepreneurship Specialist. S/he will support Social Entrepreneurship Lead in conducting research, identifying partnership and funding opportunity, and attending related events as representative of Hivos Hub SEA. S/he will also support the Social Entrepreneurship Lead in facilitating cross-theme learning and collaboration within Hub SEA on the topic wherever possible. Support project team members in implementing project activities including but not limited to providing strategic input to team during sub-sector review by donor and developing tools (together with Monitoring, Result and Measurement Manager) for reporting and measurement. Write reports according to Hivos and donor requirements (monthly progress report, annual report, final grant report and Hivos annual report) and support the making of quarterly progress report presentation made by Monitoring, Result, and Measurement Manager. Write or contribute to promotional material such as online articles and corporate brochures. Together with Gender Specialist and other team members, coordinate and deliver gender facilitation workshop for business actors in the project location. Act as donor liaison and ensure donor’s enquiries related to project are fulfilled. Regularly travel to project location to monitor the progress and providing input during monthly progress meeting. Lead the operational progress of the project (ToR and advance liquidation checking, budget tracking, etc). In this case, PSO work closely with Field Admin and Finance Officer and Finance Controller. Supervise the progress of local partner implementer and ensure all the required reports are submitted on a timely basis. Monitor the progress of IDEA JAM project (including partners and participants). Support C/PDM with the identification of new funding avenues. Build networks of stakeholders and like-minded INGOs, CSOs, social enterprises and government organisations working on the topic of sustainable food systems and social entrepreneurship. Represent Hivos at multi-actor meetings, workshops and conferences, specifically related to PRISMA and social entrepreneurship events. Support the Social Entrepreneurship Specialist in developing guidelines and facilitating cross-theme communication and collaboration within Hub SEA on the topic of social entrepreneurship. Monitor project budget execution and ensure project spending remains on track. 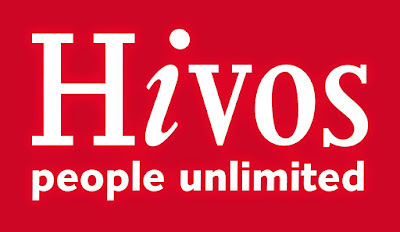 Assist with the preparation of all necessary documents and administrative requirements for contractual commitments with partner organizations and consultants according to existing procedures, including data entry and data management in Hivos’s information management system (Osiris). Ensure donor reporting requirements are fulfilled. Neatly and correctly file all project documentation (hard and soft copies) and ensure it can be found for audits. Manage the timely receipt and processing of partner narrative and financial reports; provide feedback if necessary. To apply for this position please submit your CV and a cover letter to hr.sea@hivos.org no later than 25 June 2018. This is an opened position at national level. Please specify the position name you are applying for (‘PO Sustainable Food’) in the ‘subject’ line of your email. Only shortlisted candidates will be notified.